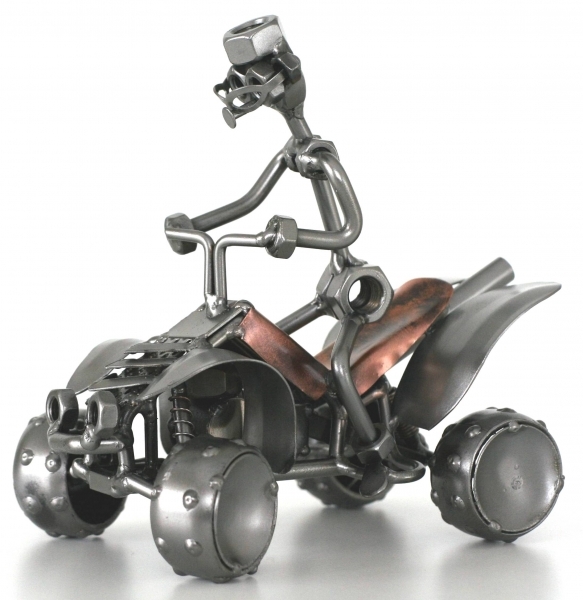 Our metal figurine driving a quad. He will drive through every obstacle. Impassable terrain is not a problem for him. A unique present for everybody who enjoys driving quads.